Yvonne Busch, a musician who broke barriers as a female jazz musician and later became a music educator and mentor to an impressive list of New Orleans performers, has died. She was 84. Busch spent 32 years teaching and directing bands in New Orleans public high schools, including George Washington Carver, where she taught for 25 years, according to historian and author Al Kennedy. He profiled Busch in his book on local public school music teachers and their impact on New Orleans music. Among Busch's students over the years were saxophonist James Rivers, whose music has been featured in several Clint Eastwood films; drummer Herlin Riley, who performs with Wynton Marsalis' Jazz at Lincoln Center Orchestra; and George Davis and John Boudreaux, who performed with nationally known jazz greats. "Because of Miss Busch, instead of just being a drummer, now I'm a musician," said another musician and former student, James Black. Other former students included Sullivan Dabney, James "Sugarboy" Crawford, Theron Lewis, Porgy Jones and Leonard Smith III, who produced and directed a documentary about Busch's life. Busch also taught at Booker T. Washington and Joseph S. Clark high schools in the 1950s. 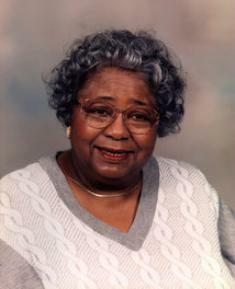 She taught at Carver from 1958 until 1983. "Through her public school classrooms and band rooms, she created a musical legacy that includes jazz musicians, classical musicians, rhythm & blues performers, and gospel singers," Kennedy wrote in his book, "Chord Changes on the Chalkboard: How Public School Teachers Shaped Jazz and the Music of New Orleans." "She also mentored an impressive list of former student-teachers who learned from watching Yvonne Busch and who are now passing on the music traditions she instilled in them." Born and raised in Treme, Busch's musical career began at an early age. She became a touring professional by the age of 12, after learning several instruments. She traveled the country as a member of two all-female bands, the International Sweethearts of Rhythm and the Swinging Rays of Rhythm, sponsored by the historic African-American Piney Woods Country Life boarding school in Mississippi. According to Kennedy, after leaving the Piney Woods School in 1943, Busch returned to New Orleans and completed her high school studies at Gilbert Academy. She later broke gender barriers when she became the only female in the "all-male" Southern University (Baton Rouge) Jazz Band, and later she joined the Dooky Chase Orchestra before pursuing a career in education.